Sorry, this job expired on Apr 2, 2019. Below are other jobs that may be of interest to you. 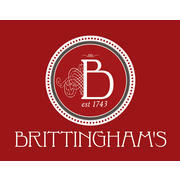 Brittingham's, a popular Montgomery County food &amp; beverage establishment is conducting interviews for the position of Sous Chef. We are a full-service restaurant, open 7 days a week for lunch &amp; dinner and Sunday brunch, with a thriving events department as well. The ideal candidate will have proven experience in professional kitchen management. A hands-on manager, the position includes cooking and managing all stations under the Executive Chef, expediting, and closing shifts. Weekends are a part of this position. The Sous Chef reports directly to our Executive Chef. For those that lead by example, please forward your resume for consideration.